"Big nice house, built and decorated with loving care," An atraveo customer wrote. Southern France | In these French villas at the blue coast you will find soothing tranquillity and undisturbed sunbaths at private pools. 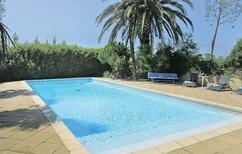 Luxurious villa for up to 10 people with an infinity pool and sea view near Golfe-Juan. French Riviera | The low edge of the infinity pool makes it seem as though you can swim directly into the landscape. 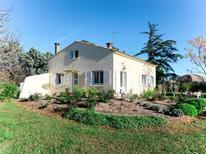 Lovingly-restored country house for eleven people, dating from the 18th Century and located in the heart of Provence. Provence | Would you like to know which holiday home or apartment is particularly worth spending a holiday in? 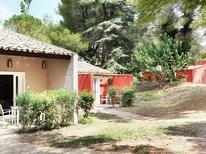 Here we'll show you the accommodation in Provence, which has received the best reviews from our customers. Nice | Art, culture, shopping, sun, beach and jet set. 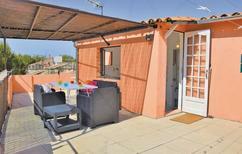 Nowhere else is everything located so near to each other than in a town in the Mediterranean. Be in the middle of it all with a city apartment! Mediterranean coast | Not only can you see the yachts of the rich and famous in big and small harbours, but you can also find chic holiday accommodation here. You can enjoy this view of the beach and the sea on the promenade of Nice. ​Côte d'Azur | Sophisticated flair, azure-blue sea, and great beaches. You can bring a bathing holiday and sightseeing together in perfect harmony with a holiday home near the beach, on the French coast. 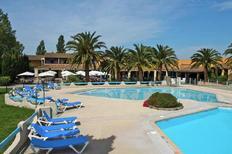 Holiday park at the foot of the Pyrenees in French Basque Country. 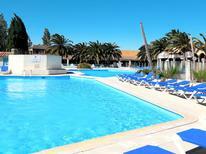 Southern France | Everyone can enjoy a holiday here to the fullest. Parents can relax while the little ones will find dozens of entertainment options. A holiday house in Arles costs on average USD 1,005 in the cheap travel period and USD 1,790 in the peak season per week. These details are of course in relation to the house and not per person as well as includes the obligatory additional charges.